So I survived my first vegan holiday! Somebody congratulate me! 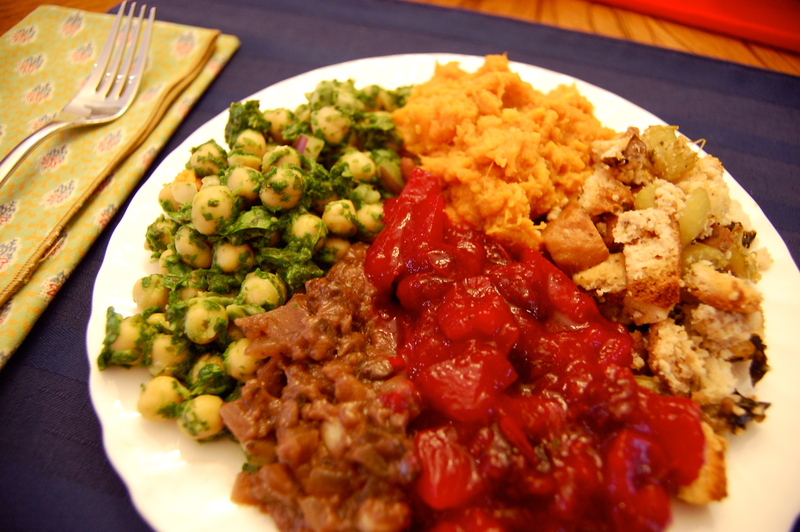 Being the overachiever that I am I opted against a generic tofurky dish and instead created a five-part Christmas meal that’s vegan, gluten-free, healthy and versatile. The results (and the leftovers) were to die for. 1) Rinse mushrooms and dry thoroughly. 2) In a skillet over medium heat, sauté the garlic, onion and herbs for about 4-6 minutes until softened. Add a splash of vegetable broth. 3) Add the mushrooms and red wine to the skillet. Stir occasionally for 2-3 minutes. 5) Combine the nutritional yeast, tapioca flour and soy sauce in a bowl. Add mixture to the skillet and wait a few minutes for the gravy to thicken, stirring frequently. 6) Pour in the remaining vegetable broth. Keep stirring. If the gravy is not thickening properly, add a dash more nutritional yeast. 7) Add the salt and pepper to taste. Reduce heat to low and let simmer for about 10 minutes. 8) Serve hot hot hot! The gravy can be made in advance and chilled, just heat up before serving. Makes 4-6 side servings. 1) Chop the spinach very finely in a food processor. 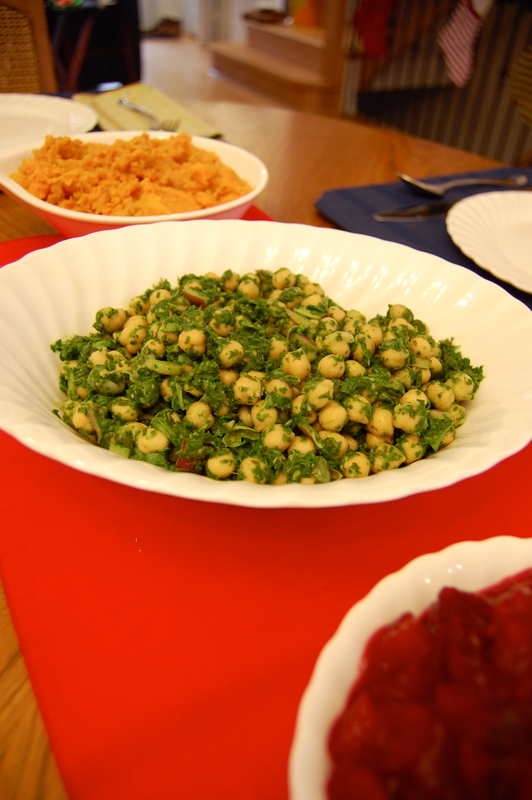 Place the chopped spinach in a large bowl with chickpeas and onion, then set aside. 2) Using the food processor again, make a dressing by adding the lime juice, garlic, cilantro, mustard, olive oil, salt and pepper. Process for about 20 seconds. 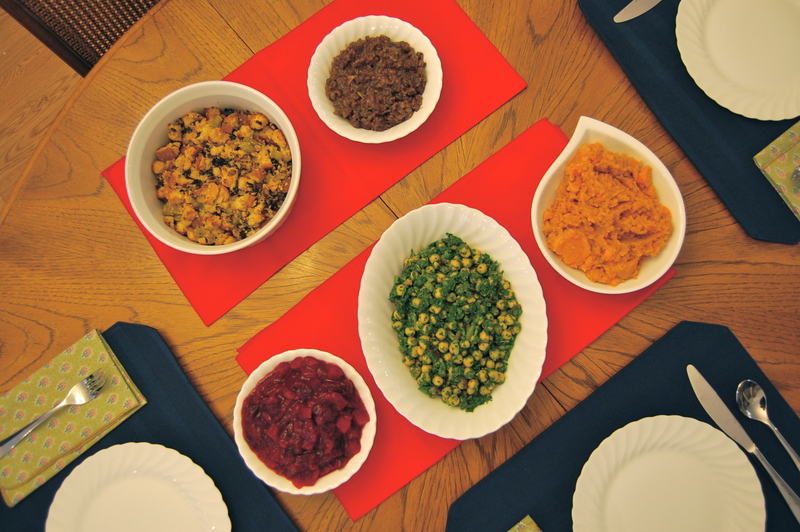 3) Pour dressing into the large bowl and stir all ingredients together. Let sit for about 10 minutes, then serve. 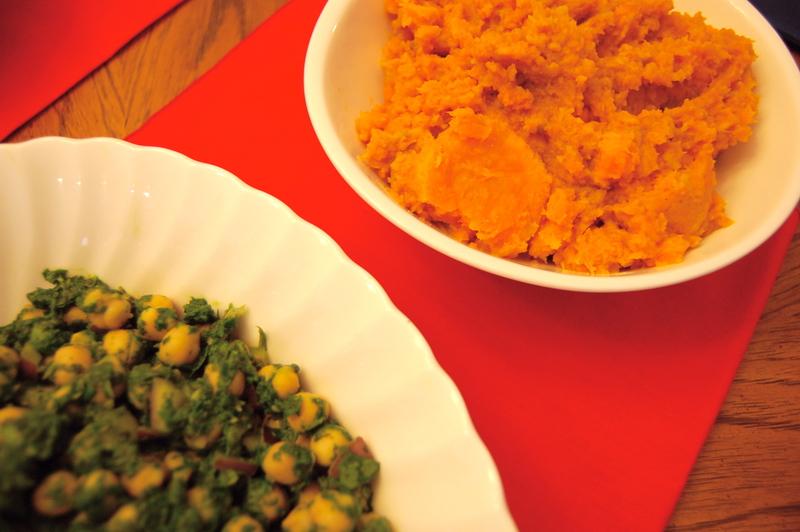 Serves about 3-4 main dishes or 6 side dishes. 1) Add cranberries, orange juice and maple syrup to a medium pot. Bring to a boil and let simmer for a few minutes. 2) Add the apple and pear once the cranberries begin to melt. Add sugar if desired. Stir regularly. 3) Reduce heat and let simmer on low for 5 minutes until texture is thick and gooey. Remove from heat and chill until ready to serve. 1) Wash, peel and cut the sweet potatoes into small chunks. 2) Bring water in a medium pot to a boil. Submerge the sweet potatoes for 5-8 minutes until tender. 3) Remove from heat and rinse the potatoes under cold water. Place in a large bowl and mash thoroughly. Add maple syrup, cinnamon, almond milk and additional seasonings. Combine ingredients until the desired consistency is reached. Serve immediately. I made the exact same recipe that I posted on Vegan Girlfriend a couple of weeks ago! 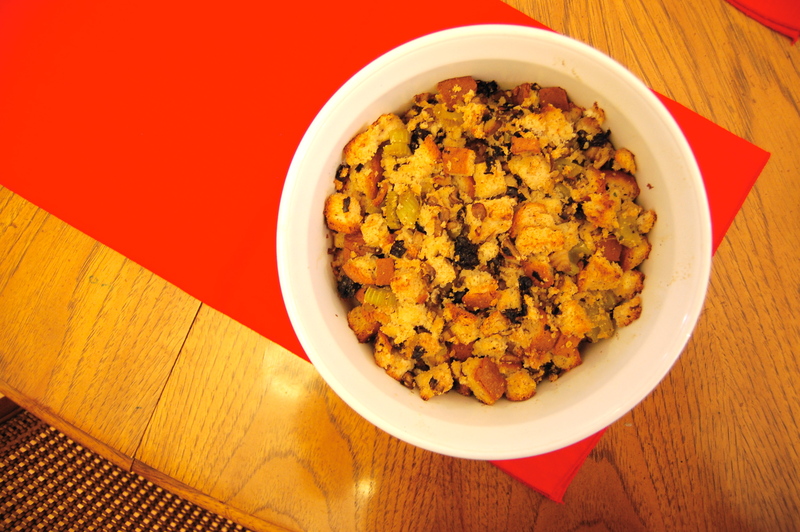 For my original gluten-free stuffing recipe, click here.